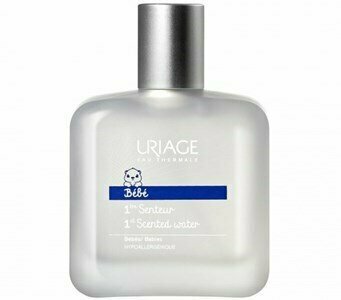 A soft water with a fresh and delicate scent enriched with Uriage's Thermal Water with soothing and moisturizing properties. A fresh scent filled with tenderness! How good is the baby soft scent after a good bath and a proper moisturizing with your Uriage favorite baby cares? 1ère Senteur is the perfect complement that perfectly respects the fragile skin of all babies and children. It is also ideal to offer! Spray once a day on the hair, neck and clothes. Avoid contact with eyes. Infants from 3 months.